What is a Treehouse Hotel? 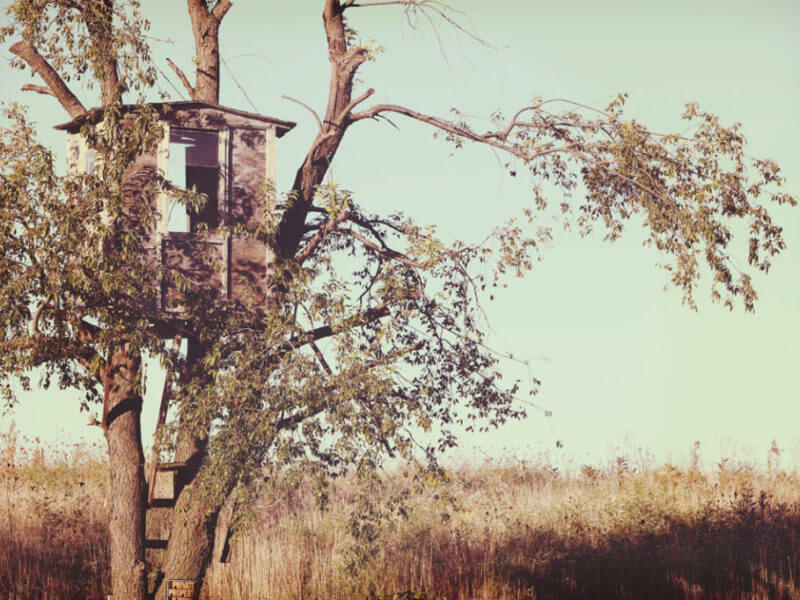 The term «treehouse» awakes memories from our childhood: How wonderful was the time when we climbed on the trees and hung out in our fanciful treehouse! Unfortunately, for most of us this time is over and a few planks on a tree are not enough to keep us in the treetop anymore. If you as an adult still want to experience adventures high up between leaves and branches, you can do so with a stay in a treehouse hotel. It doesn’t matter if you choose an adventurous weekend with spare furnishing or for a few romantic days in the treetops – at a treehouse many dreams may come true.. But before we start dreaming of the next holiday high up in the trees, we have to explain what a treehouse hotel is. A treehouse hotel is an apartment that is built in a treetop or around the stem of a tree. The size and equipment of treehouse hotel rooms may be completely different – depending on what you booked for. It ranges from simple rooms with ordinary furnishing to luxurious accommodation with a lot of comfort. But how can you imagine a treehouse hotel? 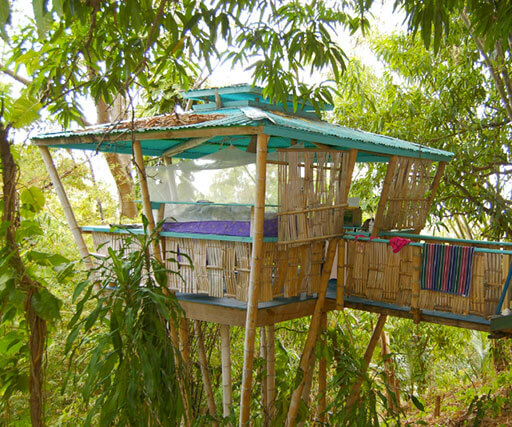 A treehouse hotel is not a big building complex but comprises many small apartments in the treetops. They can be built single around a tree or in groups around several trees. If you decided for one variant and checked in, you will be directed to one of the houses. Most of the time you reach the hotel in the treetop with stairs. The treehouse apartments that are built in groups may often be accessed via the ladder and the balcony. The treehouse hotels are built in different heights where they are mounted around the tree and held by stilts. Many rooms have a balcony where you can enjoy your holidays in the nature. Most treehouse apartments are built in a height between 2 and 8 meters. Because the hotel is not only fixed to the tree itself but is mainly supported by stilts, the room doesn’t sway in the wind even when a storm comes. The advantage: All your belongings stay in their place and even people who are afraid of heights may sleep in the treetops. Spending a night in a treehouse hotel? That sounds more unsettling than it really is, because in a treehouse hotel there are real beds – sleeping bags may stay with the old tent camp times. Of course it depends on your preferences if you want to spend a night in a treehouse or not: If you set great value upon the service of a hotel, a treehouse hotel is probably the wrong choice for you. But if you don’t, you can choose from a wide range of offers of different treehouse hotels and facilities. The variety ranges from different levels of comfort in different regions, up to the choice of the countries and continents. 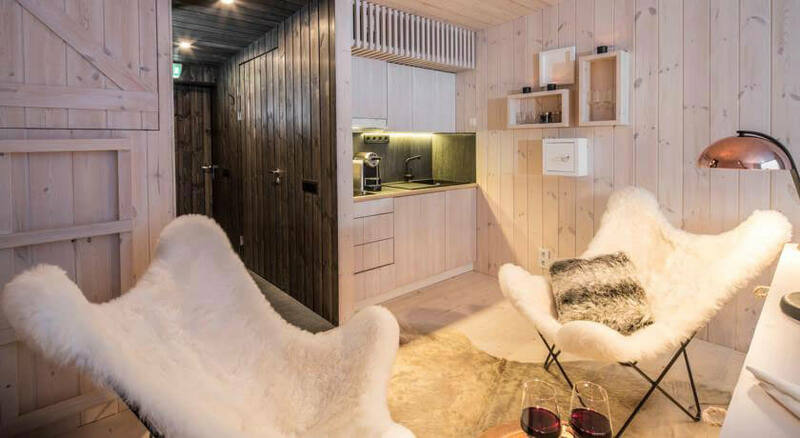 A holiday in a treehouse hotel can fulfill all your wishes: There are classical wooden houses with spare furnishing and an adventurous look – but also variants with full luxury, with huge living rooms, fully equipped bathrooms and balconies. Depending on the personal taste, there is the ideal treehouse hotel for everyone. Is doesn’t matter which variant you choose, there will always be a hint of adventure and romance, and you will not easily forget your stay. Differences between a treehouse hotel and a real hotel? As already mentioned, you may generally expect less service in a treehouse hotel compared to a normal hotel. Regarding all the other topics, differences become more or less obvious depending on the treehouse hotel you booked. During the recent years, more and more exclusive premium apartments were created between leaves and branches. These luxurious treehouse hotels don’t differ a lot from normal hotels. It starts with the equipment: From the whirlpool and DSL connection to a stuffed minibar there is everything available that a guest may wish for. If you book such a luxurious accommodation, you’ll get a little less adventure but a lot more service, bigger rooms and facilities like in a 4-star-hotel. 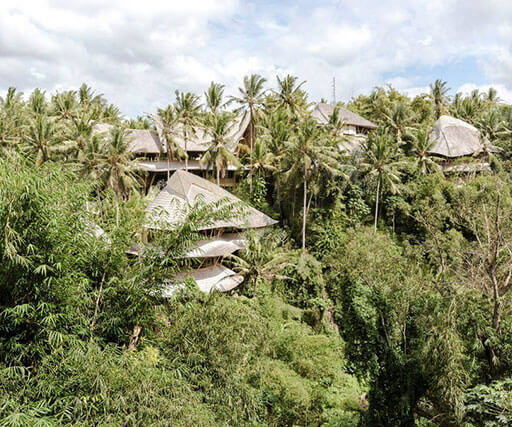 If you book a simple treehouse hotel or one of the middle class, the holiday will become more adventurous and will distinguish itself from the one in a normal hotel. Of course the facilities differ a lot and you will have to accept some limitations. But you’ll be much closer to the nature and can relax in a simple environment, which creates a true treehouse experience. Another difference you should be aware of before booking is the supply with food. Depending on the hotel you booked, you will eventually have to prepare your own breakfast and dinner. In this case the treehouse is more like a cottage. If you don’t want to cook during your holidays, you can book a treehouse hotel with a restaurant. However, this will limit the choice of available treehouse hotels. Alternatively, you can choose a treehouse hotel with a restaurant close by. This is therefore not part of the treehouse chain and built like a normal house on the ground. Depending on the location of the adventurous accommodation there may be a restaurant that you can walk to easily. Those who want to enjoy the freedom of a cottage may cook their own dinner and prepare a tasty breakfast for themselves. There are also some varieties regarding the duration of the stay. While normal hotels are often booked for several weeks, treehouse hotels are mostly chosen for shorter holidays or weekend trips. The average time of stay is between two and three days. 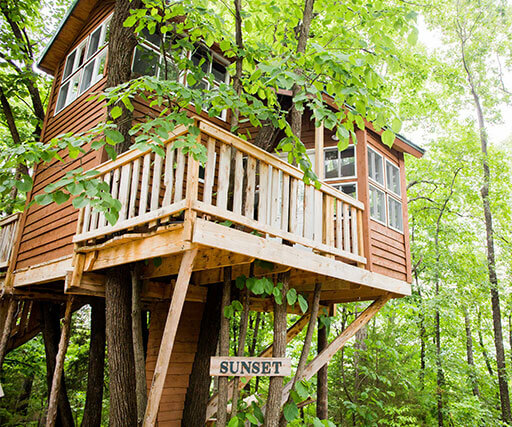 Although there is no upper time limit, treehouse hotels generally seem to be a choice for short stays. The advantages of a holiday in a treehouse hotel are more an emotional than a rational matter. A treehouse hotel has something exciting, even magical about it. This is partly due to our childhood memories, but also due to the anticipation that rises already with the choice of the ideal hotel. Spending your nights in the treetops is not an ordinary holiday, like the ones you know from fancy hotels. 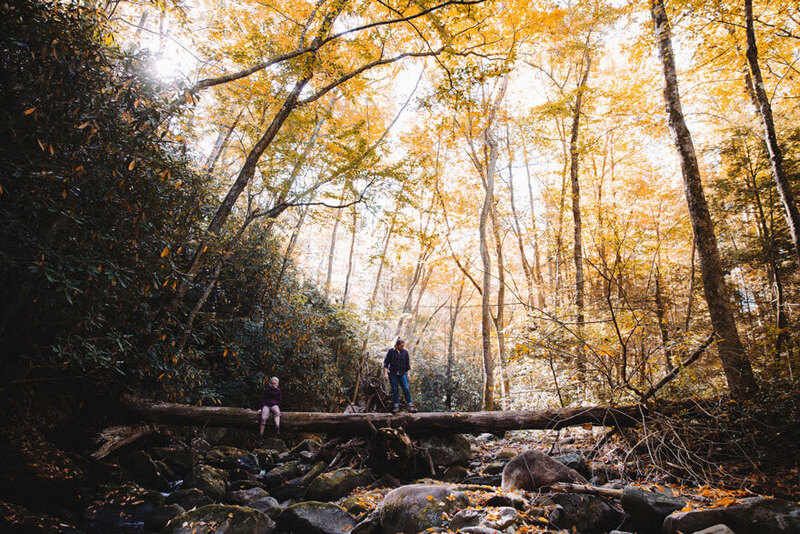 Staying in the middle of trees, in a wooden room with a view into the leaves, and spending a night in dizzy heights, are things that are not forgotten easily. High up in the treetops memories awake; the world can be seen through different eyes and yes, even creativity may be increased. Those who want to change their point of view completely and look at things from a new perspective will find a treehouse the perfect spot. 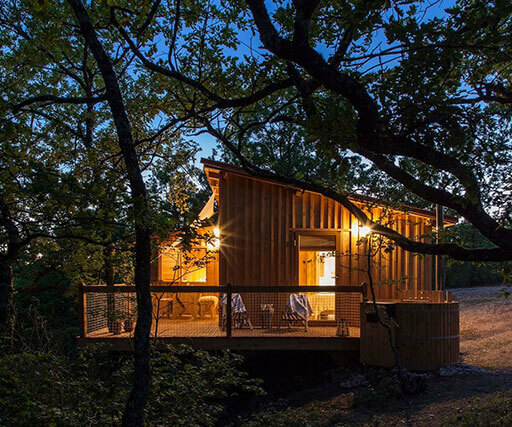 A treehouse hotel is not only suitable for people who seek inspiration, but also for all lovers of nature. 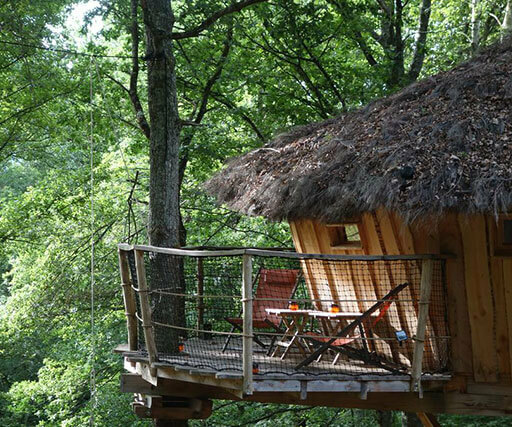 Where could you spend your holiday closer to nature than in a treehouse between branches and rustling leaves? 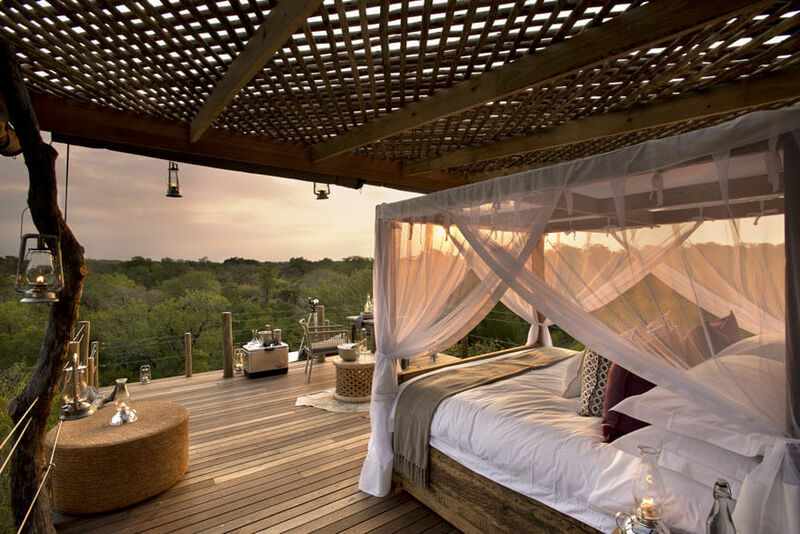 For all those who search for a special and unforgettable holiday, a treehouse hotel may be the right choice. The best about it: For this exciting holiday you don’t have to endure many hours of flight or drive, as there are many treehouse hotels in Germany, Austria and Switzerland. Therefore the unforgettable holiday may begin shortly after you left your doorstep. A short trip for the weekend or the national holidays is definitely worth it. If you seek more adventure and don’t mind a longer journey, you can of course also choose a treehouse hotel at exotic continents like Africa, Asia or Australia. It doesn’t matter where you search for you airy accommodations, they are definitely worth a few holidays. Thanks to the great variety there is always the perfect accommodation for everybody. Great information.We plan to build a treehouse ecolodge in Kalinzu forest Uganda and this gives us more inspiration.